An aircraft has suddenly breached your airspace. What will you do? These are the types of questions to expect if you want to be a certified professional drone operator in Tanzania. 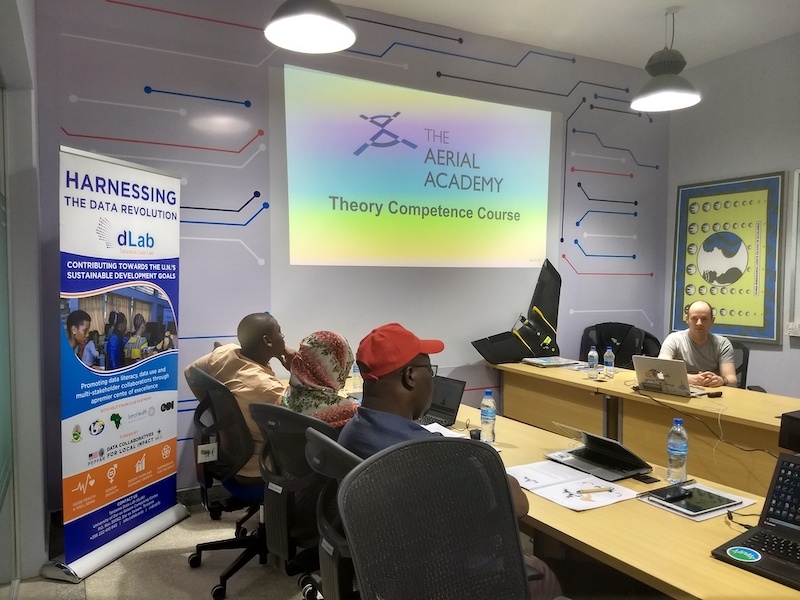 Seven pilots went through 4 days of instruction and testing by the Aerial Academy in Dar es Salaam last month and successfully earned a UK-CAA certification. This was the first-ever certification course for local drone pilots as promised last year. Now pilots like Khadija have the know-how to operate drones at the highest global standards but it means more than that – it always does. Tanzania and its sister Flying Labs have shown the benefits of drones and the data they produce through various use-cases in the past few years. Each and every project is a blueprint for local drone operators to create economic opportunity. Underpinning all the drone-related projects are training courses intended to build local capacity to fly drones safely and more importantly to interpret drone data. Certification is a seal of approval which professionalizes the local pilot, and gives them the credentials to bid for any contract on the international stage. Certification is recognition by local civil aviation authorities that a drone pilot is a pilot! With that in mind, drone pilots learned general aviation principles and other aspects of flight in 8 consecutive modules with a pass rate of 75% required for each successive stage over a period of 2 days. Participants needed to be experienced pilots since the last day of the course was an operational flight assessment designed to simulate real-world situations. Most of the enrolled pilots were certified in both multi-rotor and fixed-wing drones which are what we mostly use in Tanzania for mapping and remote sensing. 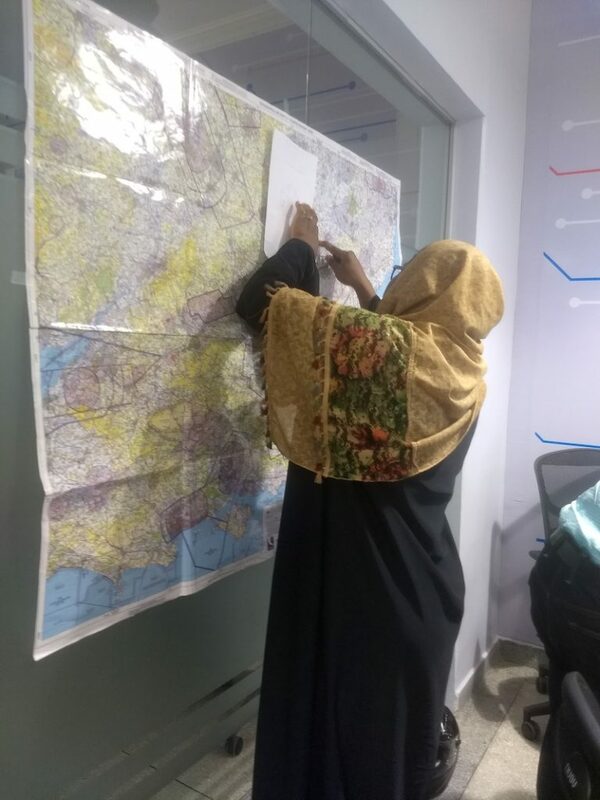 The work Khadija does contributes towards Tanzania’s development in areas such as urban resilience which is supported by the World Bank Group. The same group supported the Flying Labs in making this certification course possible and will call upon pilots such as Khadija whenever aerial data needs to be collected. 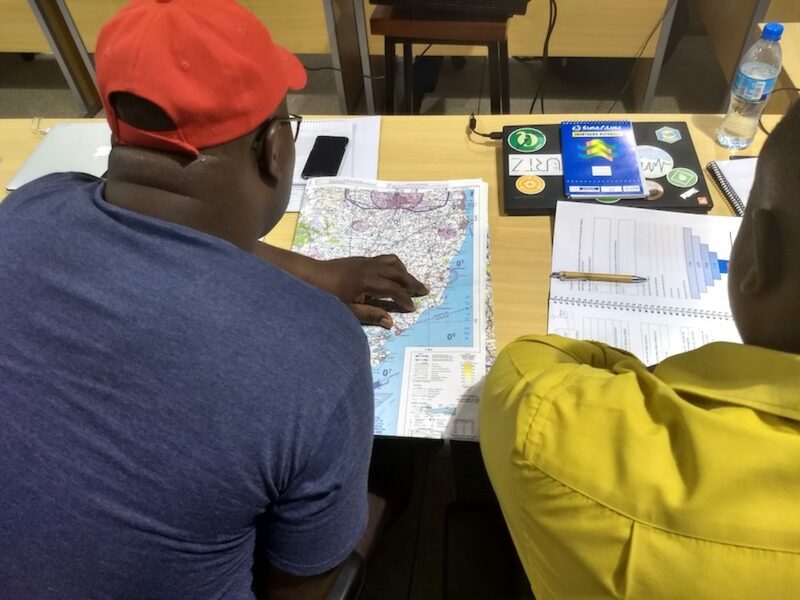 This training was a UK CAA certification standard which is recognized by the Tanzania Civil Aviation Authority (TCAA) who fully participated in this course. Currently, drone pilots have to get permission from the Ministry of Defence and the TCAA to fly (at any altitude) which is time-consuming. Khadija’s certification covered every aspect of safe drone operations and she follows a code-of-conduct making her fully capable and competent to fly an aerial vehicle. Her certification should be an annual license for her to fly drones in Tanzania without seeking permissions repeatedly. One immediate impact of such an exemption would be the ability to deploy rapidly during disaster response efforts. Tanzania Flying Labs will offer this course again and pilots from other African countries are encouraged to apply. Stay tuned to this blog as we explore new ways of using drone data to support development. A big thanks once again to the World Bank Group for supporting our work.